I suggest to discuss this issue for UBL 2.3. > * The arrow from "Accept order" to "order canceled" indicates accepted orders end up in a cancelled state without any notification (yes, it says "[response not required]".) In a process supporting responses and changes as outlined should the process after "Accept order" be to return response. > * The arrow from "Add detail" to "Accept order" should be removed and "Add detail" should be be "Update and accept order". 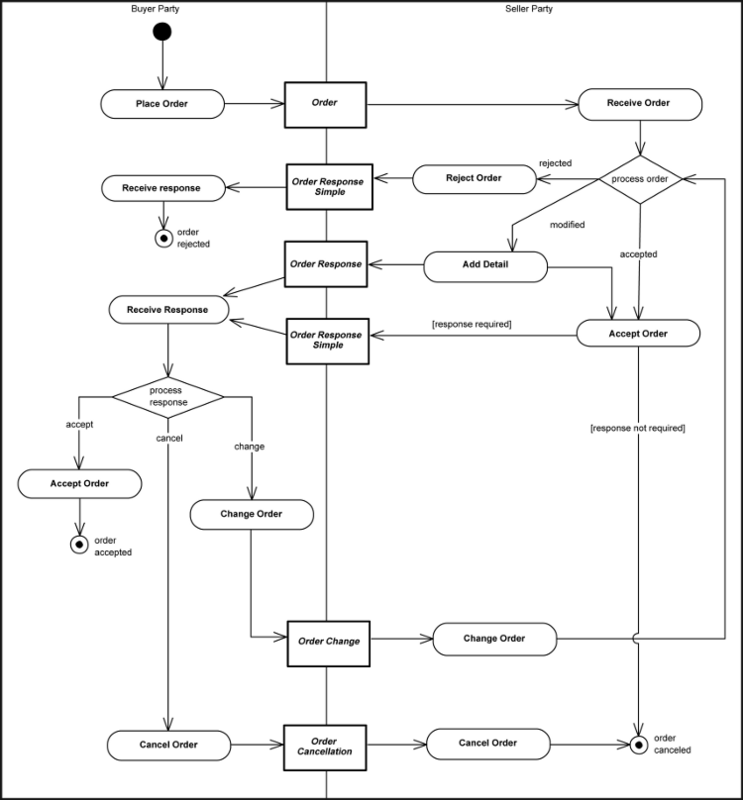 > We may add a simpler process with less responses to indicate a lighter implementation.